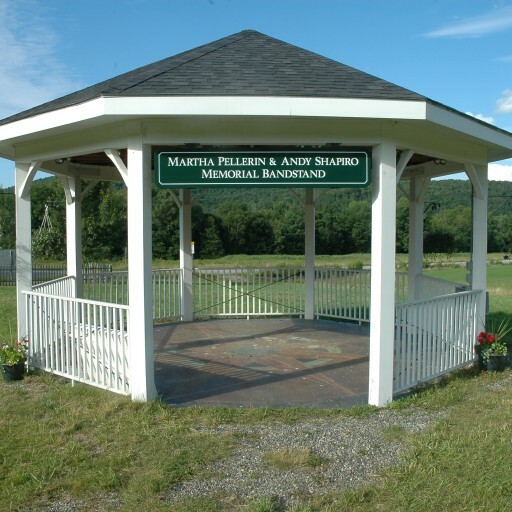 The bandstand is named in honor of two Middlesex musicians whose contributions to the history of music in Vermont are widely acclaimed. Each passed from this world much too early, yet their legacy lives on in the musicians and audiences whom they touched. Martha Pellerin was born into a French-Canadian musical family. Her life mission was promoting an understanding of French-Canadian and Franco-American culture through traditional music. After the family moved to Barre, Vermont in the 1950s, where Martha was born, they regularly returned to Quebec for family soirees. In Franco-American Vermont, all roads led to Martha, an organizer, promoter, song collector, and educator. She played accordion and formed the band Jeter le Pont – “bridging the gap.” The driving force behind many musical events like Barre Heritage Days, La Danse Des Enfants, and the St. Jean Baptiste Day Festival, Martha took her music all over New England and to Europe. Martha was a preserver of oral tradition and cultural heritage whose extensive collection of French-Canadian songs & recordings is archived at the Vermont Folklife Center. Born in the Bronx, New York, and a devoted and loving father and husband, Andy Shapiro lived a life of music. 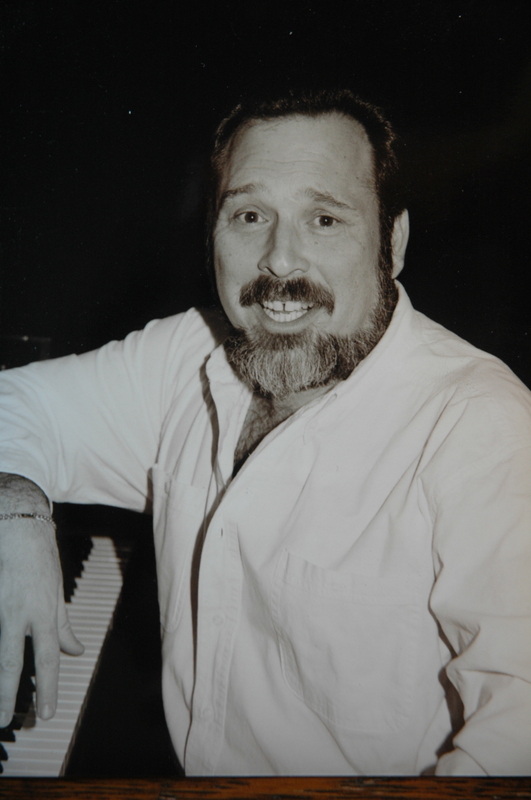 From childhood singing street-side doo wop to teen years playing in resorts in the Catskills; from accompanying the Joffrey Ballet to composing, recording and playing keyboards in numerous Vermont ensembles, Andy embodied a love of music and a passion for life in everything he did. He was a long-tenured professor at Johnson State College and creator of the Jazz and Contemporary Studies Program there. A consummate performer and composer, he was a founder of the Montpelier Gospel Choir, the U-32 summer jazz camp, and the fabulous jazz/blues/gospel band The Disciples. Andy was a beloved member of the Vermont music community who taught and profoundly influenced a generation of Vermont musicians. As the Middlesex bandstand celebrates its 10th year, it may be easy for some to forget its formal title, the Martha Pellerin and Andy Shapiro Memorial Bandstand. And that would be a mistake. Although it has been more than 15 years since their deaths, Martha and Andy were not only beloved Middlesex residents, they were among the most respected of Vermont musicians. More importantly, they were friends to most they came in contact with — including me. It is fitting that the series is opening with Tammy Fletcher and the Disciples, for Andy was the founder of the Disciples. One of the state’s best jazz pianists, he instituted its professionalism with not only excellent technique, but with musical depth and understanding. Coupled with the effervescent young Tammy, they were not only a big hit with audiences, but their music making was also of the highest level. But Andy wasn’t only interested in professionals. In 1994, he founded the Montpelier Community Gospel Choir and remained its director until his death. This splendid group reflected Andy’s enthusiasm for both the music and the members — his friends. Perhaps dearest to Andy, besides his loving family, were his students at Johnson State College. He taught them professionalism not seen in the school before, and in return they gave him total loyalty. They loved Andy. Perhaps my fondest memory of Andy was from a concert shortly before his death. It was in Burlington with Steve Goldberg on flugelhorn. The music was avant-garde jazz; sophisticated, difficult and exciting. This was music making of the highest order. Martha Pellerin Drury — who was married to fine Vermont instrumentalist John Drury, still a proud member of the Ground Hog Opry — contributed to her beloved Vermont, but in a very different way. Born in Barre, the first-generation American of a French-Canadian family, she turned her heritage into a lifelong project. But with her passion and charisma, Martha made it all Vermonters’ ancestry. Martha’s Franco-American music festivals at the Barre Opera House were her gift to the community. She was most visible to the public as founder and member of Jeter le Pont (Bridging the Gap). With Dana Whittle and Claude Methé, Jeter championed traditional French–Canadian folk music, bringing Martha’s heritage to Vermonters, many of whom shared it, and others who loved it. 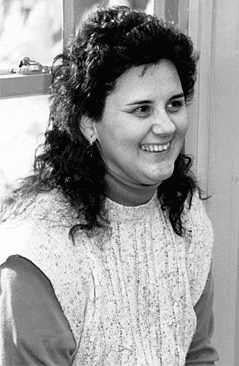 Not so visibly, Martha was the program developer for ActFANE (Action for Franco-Americans in the Northeast) and the proprietor of Franglais Enterprises, which sought to promote understanding of Franco-American and French-Canadian culture through traditional arts. She was a dynamo. Martha and Andy could be heard at concerts and in recordings throughout their lives, but it is their personal warmth that I remember most. Both were felled by cancer in 1998 — and they are still missed.